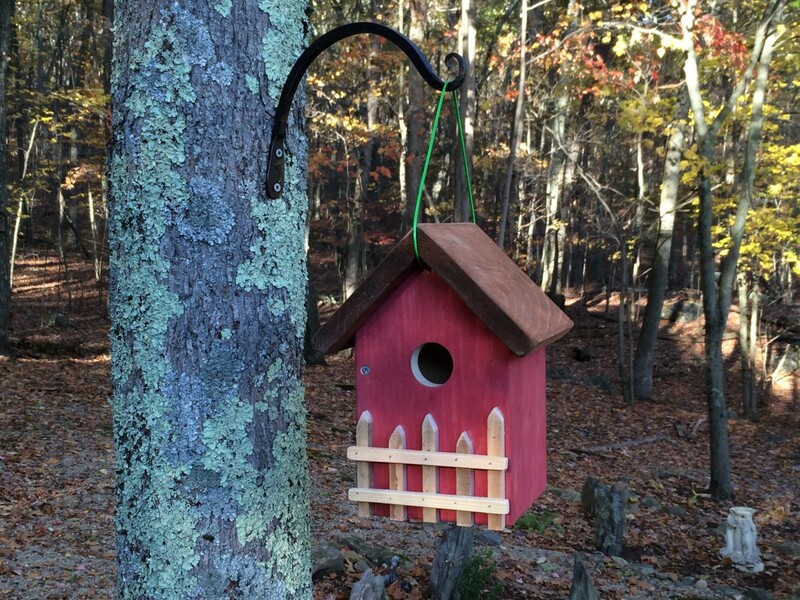 Making wooden birdhouses is a fun and satisfying hobby, combining my interests in bird watching with woodworking. Many native birds are cavity nesters, including bluebirds, wrens, chickadees, woodpeckers, wood ducks, and owls, that seek abandoned woodpecker holes and other natural openings to make their nests. 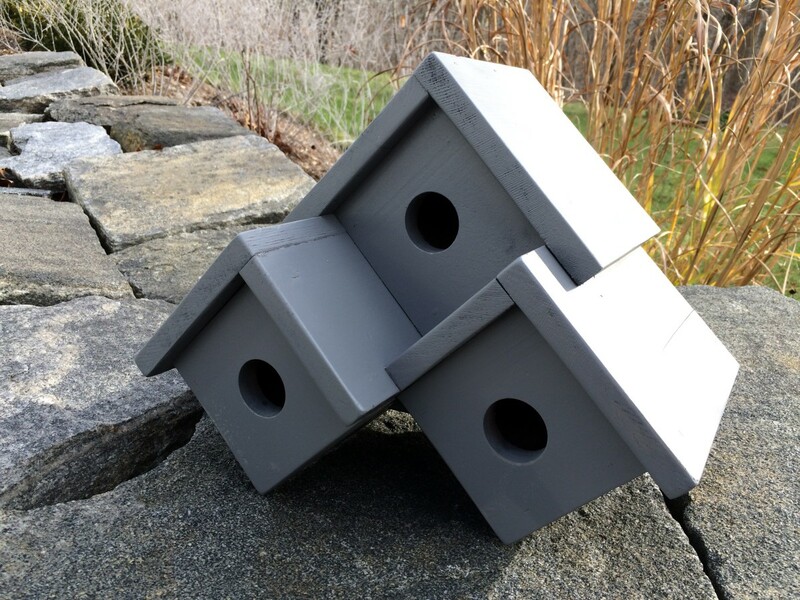 Many of these birds will move into a birdhouse as long as it's made to their specifications and placed in the right locations. Birds are selective about where they make their nests, so it's important to build a birdhouse that meets their instinctive needs. 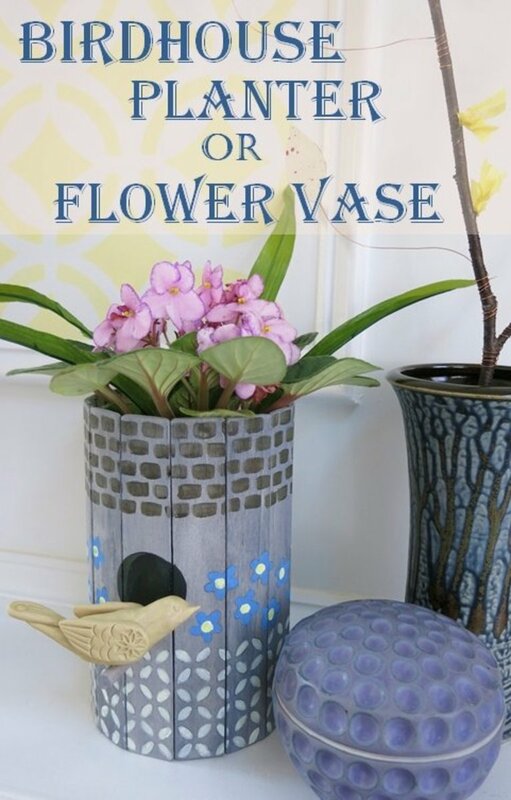 Add a little creativity and whimsy, and the birdhouse can also be interesting to look at and fun to build. Birdhouses are standard fixtures in many gardens, with avid birders putting out birdhouses and feeders with the hope of attracting their favorite feathered visitors. Ours is no exception. At last count, there are over 40 birdhouses scattered around our yard and woodlands. Watching a pair of birds make their nest and raise a brood of babies is a very rewarding experience, especially when they raise their family in a birdhouse that you made yourself. 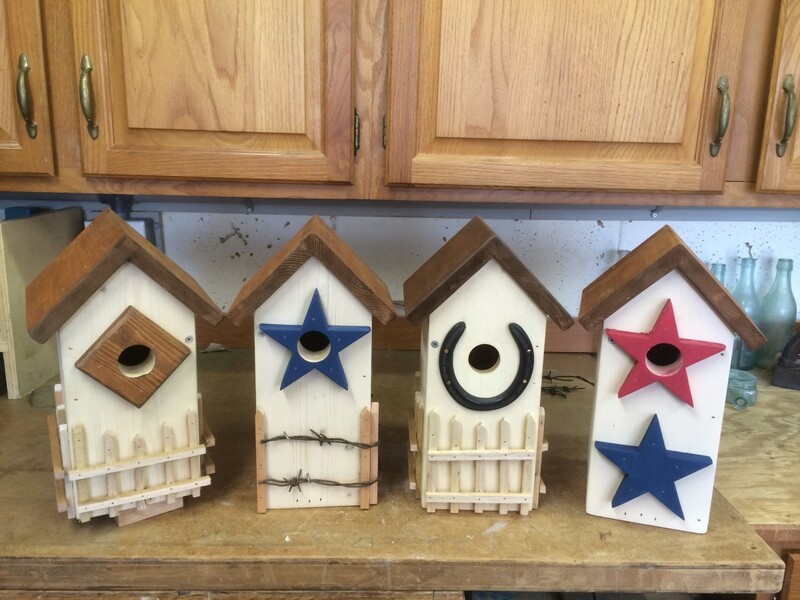 Over the years, I've made hundreds of birdhouses that have fledged many families of different species of birds. 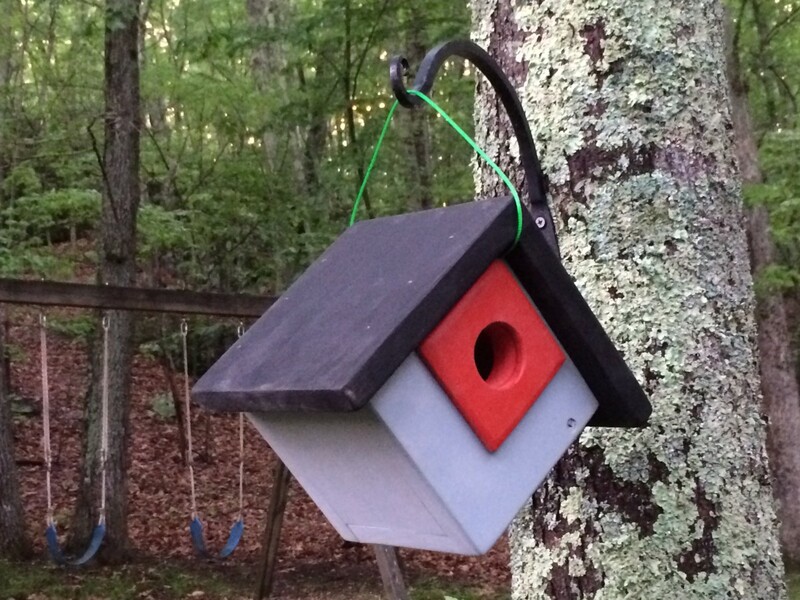 Some are basic six-sided nest boxes that are cheap, easy and quick to make. Others are a bit more elaborate, with added bits and pieces such as vintage bin pulls, old license plates and yard sale finds. Some are hanging and swing in the breeze, while others are designed to be attached to a tree or mounted on top of a post. The birdhouses look good and more importantly, they are built so that our feathered friends will use them to raise the next generation of birds. 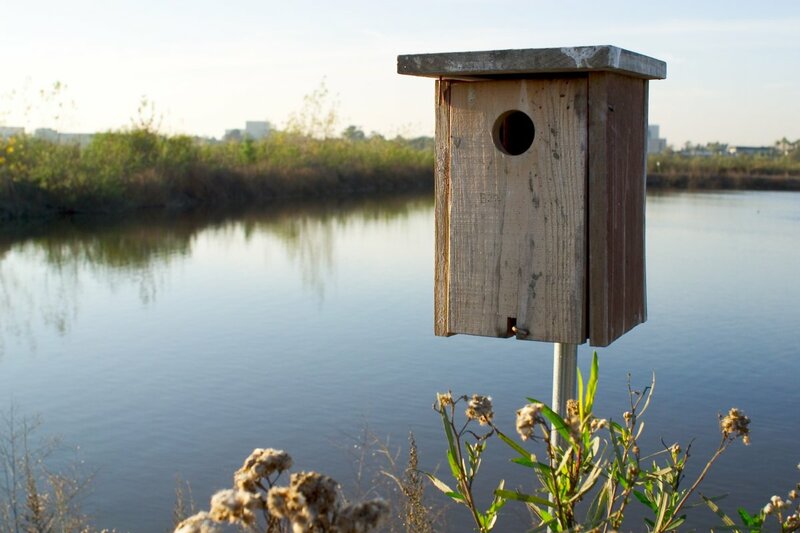 Before making or buying a birdhouse, identify the different types of birds that are found in your area, and which of these you want to attract to your nest box. Bluebirds, chickadees, wrens, sparrows, woodpeckers, owls and kestrels will all move into a birdhouse that meets their specific needs. But they can be fussy. 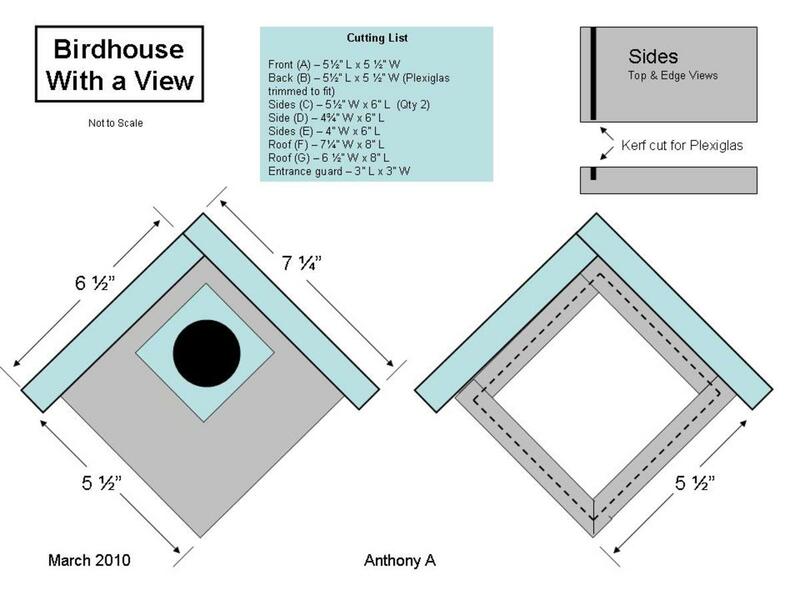 The size of the nest box floor, the size of the entrance hole and the placement of the entrance hole above the nest box floor are all important, along with the placement of the birdhouse. 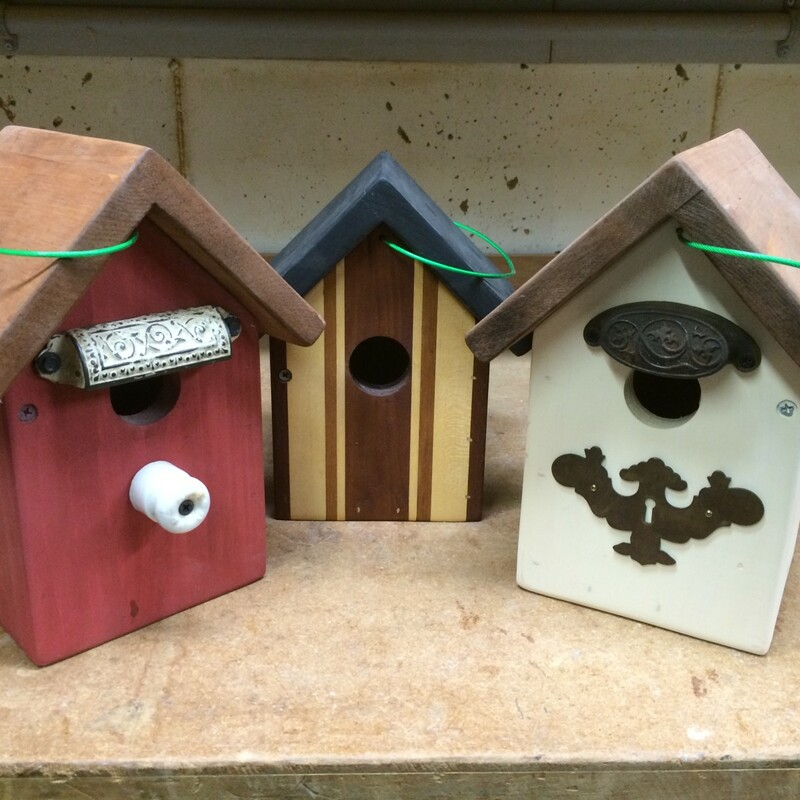 Birdhouses can be decorative, functional or both. 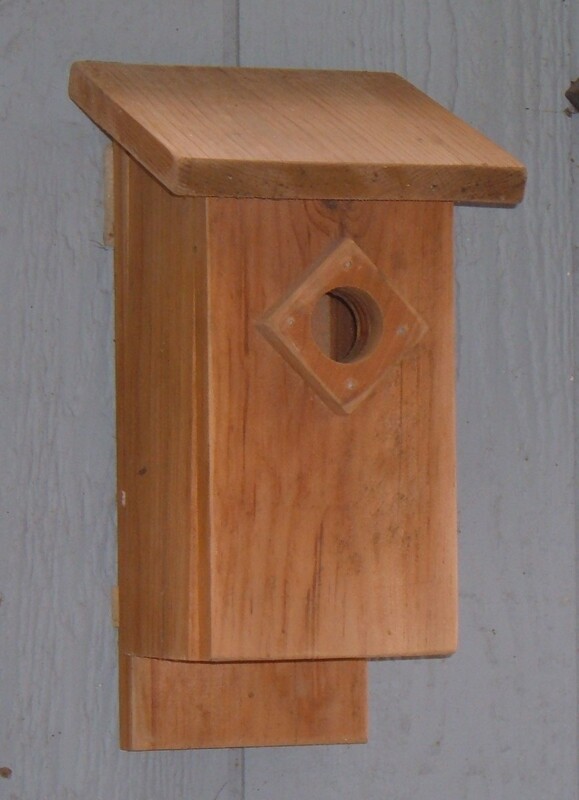 Most of the commercially made nesting boxes are simple designs that are proven to attract birds. Many of the decorative houses found in craft and decorator stores are not designed with birds in mind, but rather for their visual appeal. The entrance hole is often too small, or lacks drainage holes and vents for air flow. 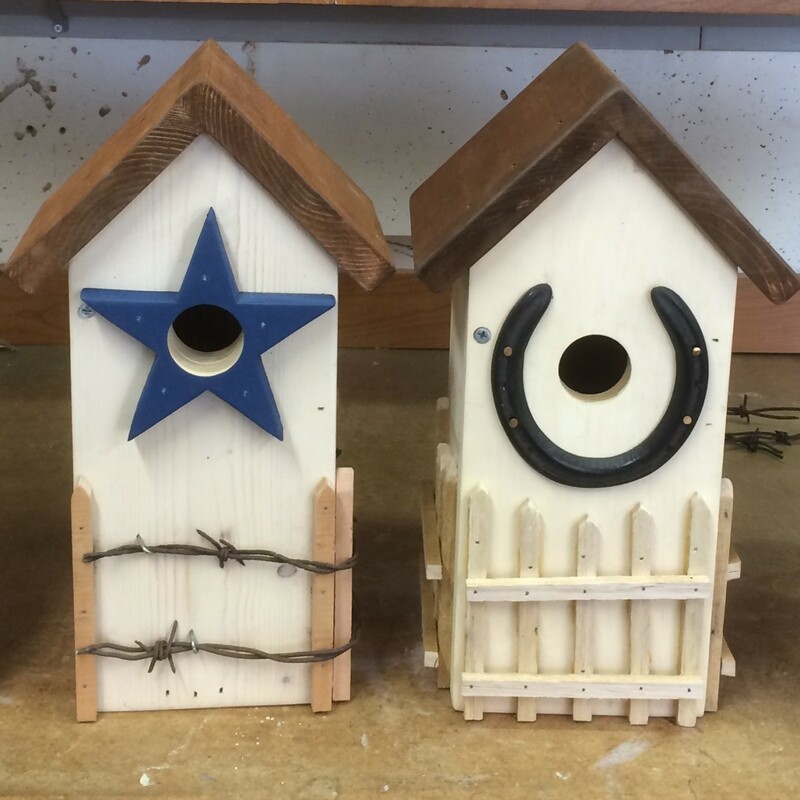 Designing and building your own birdhouses allows you to create unique, detailed and customized designs that go far beyond the basic boxes found in every garden center and retail store. 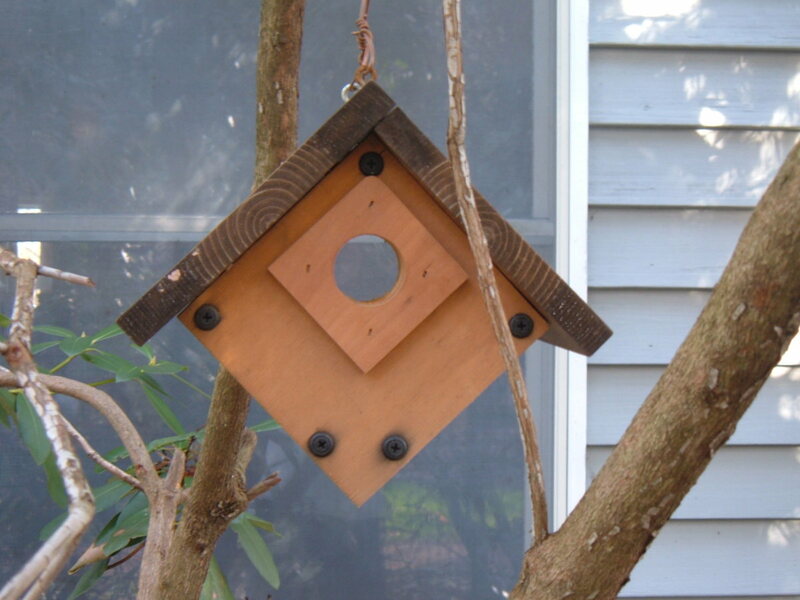 Birdhouses can be made from several types of wood, from the common and inexpensive #2 grade pine boards found at home centers, to cedar and redwood, to hardwoods such as oak, cherry and walnut, to more exotic woods including mahogany and teak. Reclaimed lumber and old wood often has a natural or aged patina that adds interest. 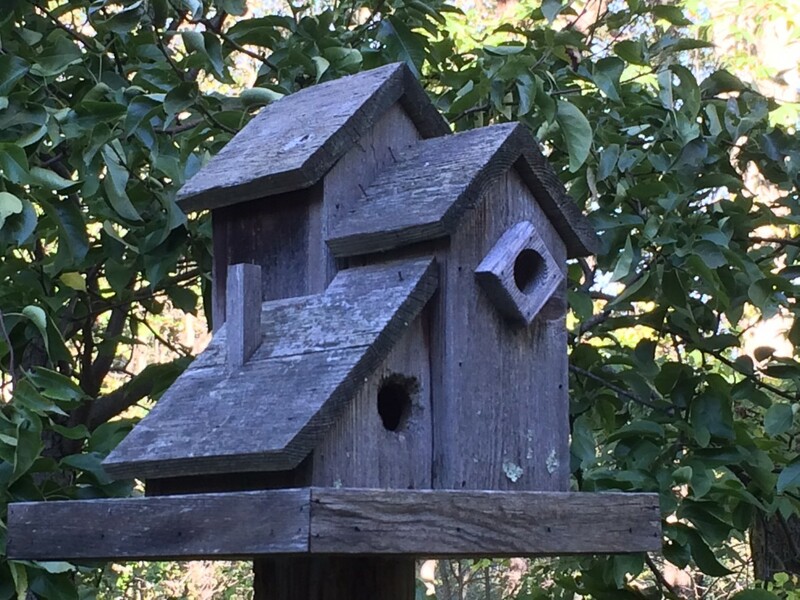 The surface of milled lumber from the home center is planed smooth and slick; scoring the interior surface of the front panel beneath the entrance hole makes it easier for the young bird to climb up and make their first forays into the outside world. Just a Bit of Paint and a Few Select Bits Turns a Basic Nest Box . . . Size Matters, and Dimensions Are Important! Cavity nesting birds have specific requirements, and they can be very choosy when looking for a place to raise their families. The diameter of the entrance hole is critical: 1-1/2" diameter entrance is large enough for eastern bluebirds, chickadees, nuthatches and wrens yet small enough to keep out the larger species that compete for nesting sites. The floor size of the birdhouse is also important, with enough room for growing chicks but cosy enough for warmth and security. The floor should have drainage holes to allow any rainwater to drain away. I clip off the corners of the floor section to provide drainage and to increase airflow. Vents under the roofline help to keep the nesting area cool. 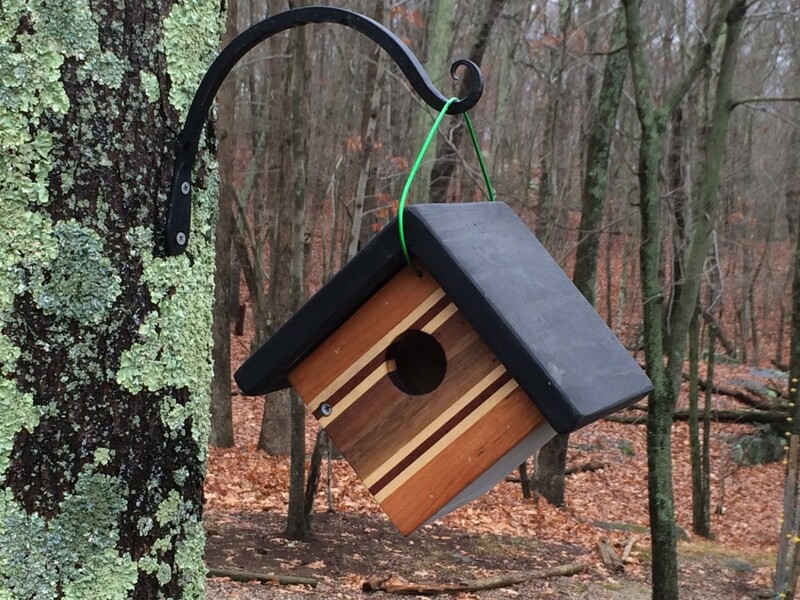 An effective birdhouse starts with a basic box that's well made. It should be solid and well made, and it can look good too. I like to build birdhouses in different shapes and sizes, use paints and stains for color and contrast, and then add a few select bits. I often use different woods and materials such as license plates and drift wood. 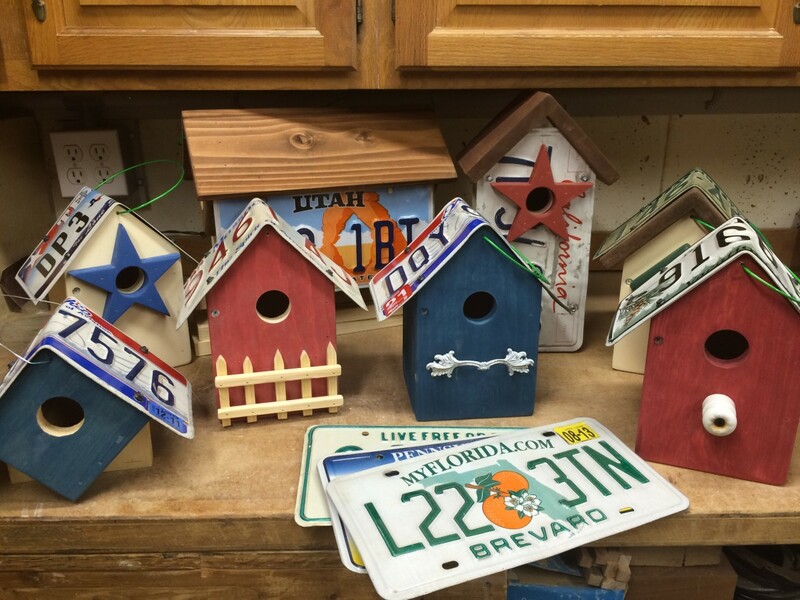 Some birdhouses are designed to hang from hooks or branches, others mount to posts or trees, and some sit atop poles. Some are single units, and others are multi-tenant apartments and condos. I especially like the rustic folk art look, and it's fun to attach found objects and other little interesting things that I find at flea markets and yard sales. Just a few carefully chosen details can transform an ordinary wood box into an interesting and unique piece of folk art. And it's fun! 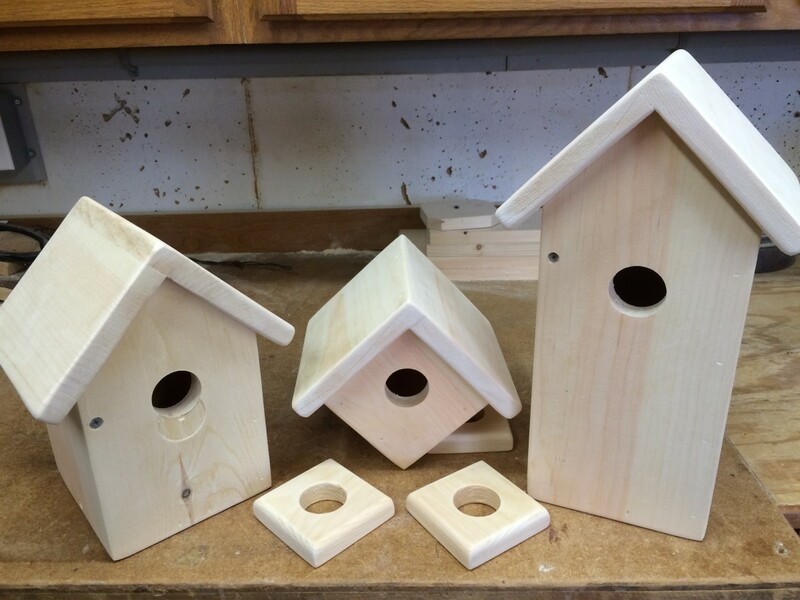 All of these bird houses are made for the birds, and each will make a great home for a variety of cavity-nesting birds. 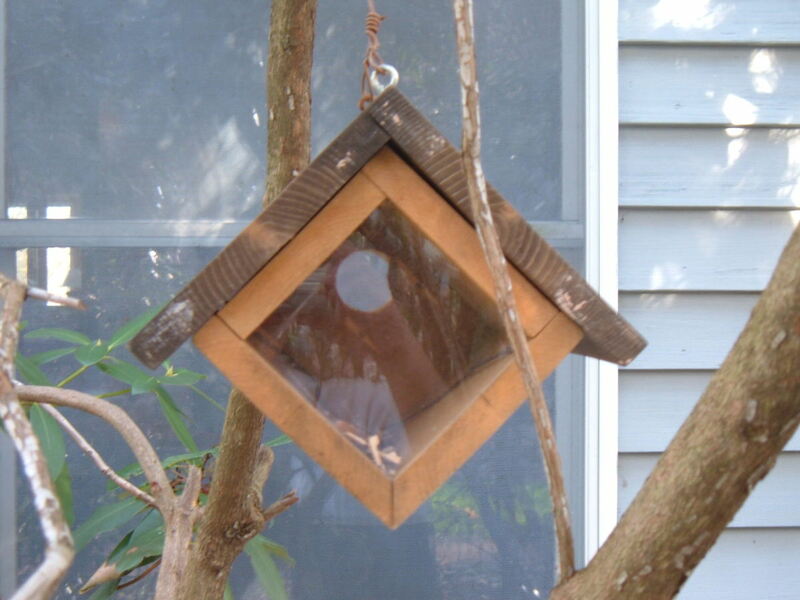 Just be sure to size the structure and the entrance hole to meet the needs of the birds that you want to attract. Make a few, and the birds will thank you. 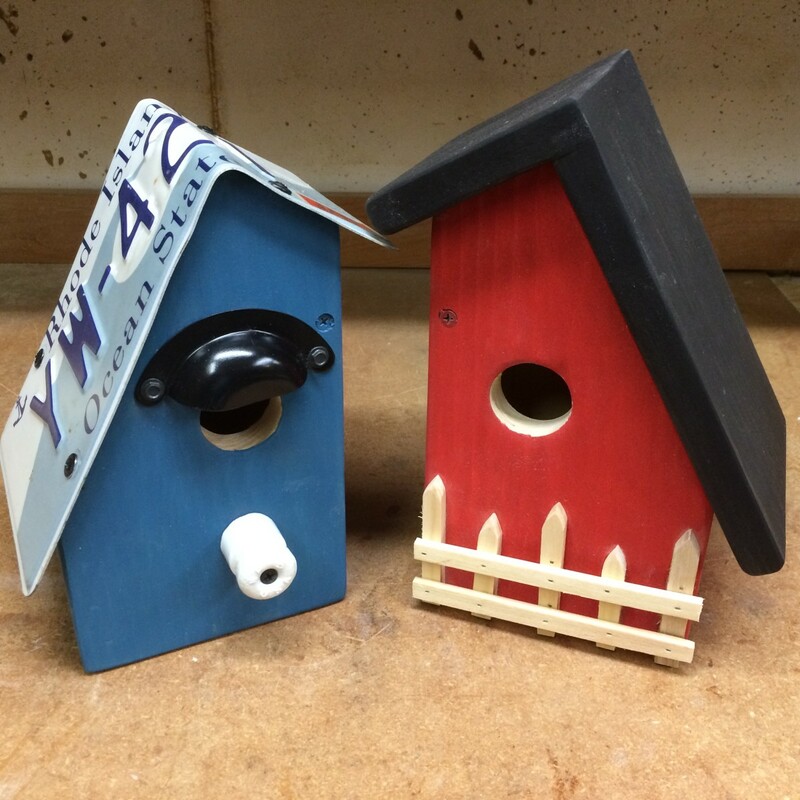 Already have lots of birdhouses in your yard? Make a few as gifts for family and friends. 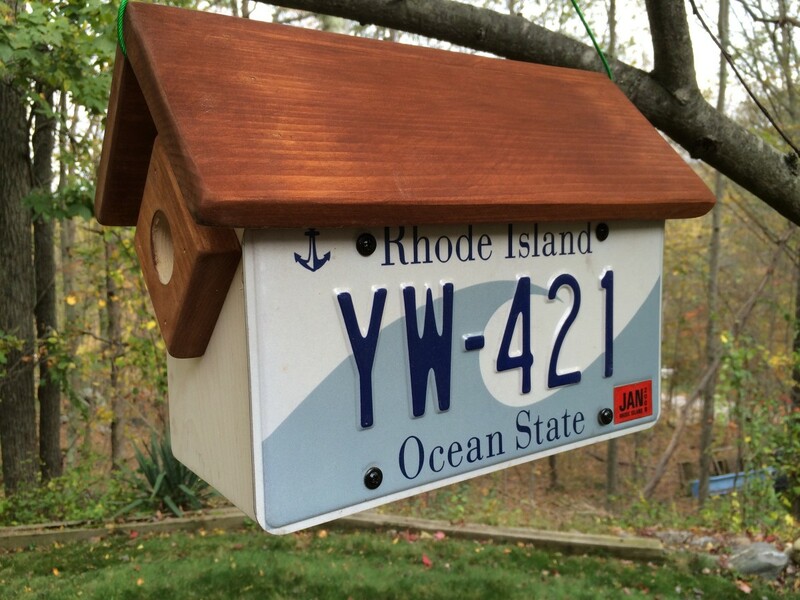 How many birdhouses do you have in your yard? I build a variety of small hanging birdhouses for wrens and other little birds. Each starts with the same basic nest box with roof vents for airflow to help keep the interior comfortable, and a side that pivots open for easy cleaning. Different finishes, choices in types of wood, adding a license plate roof and attaching little decorative bits adds a bit of variety and makes each one different and unique. I also suspend the birdhouse by drilling small holes through the front and back sections, rather than attaching an eyelet to the roof section. This prevents the weight of the birdhouse from pulling away from the roof sections, and corrects a problem with some of my earlier designs. 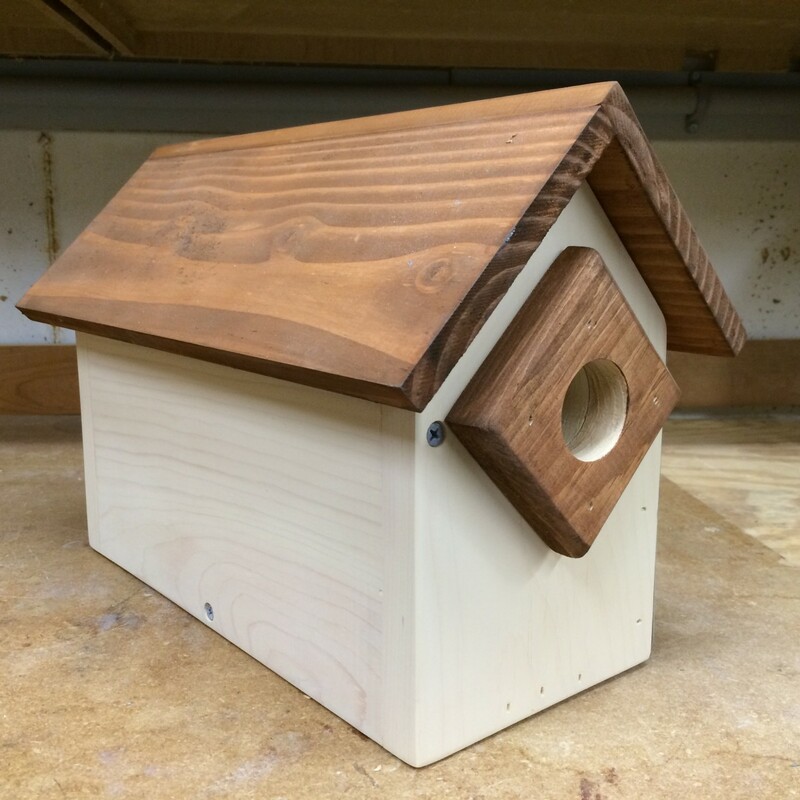 This simple wooden birdhouse requires only basic woodworking skills and tools, and takes only about an hour to build from readily available pine, cedar, redwood or just about any pieces from the scrap bin. 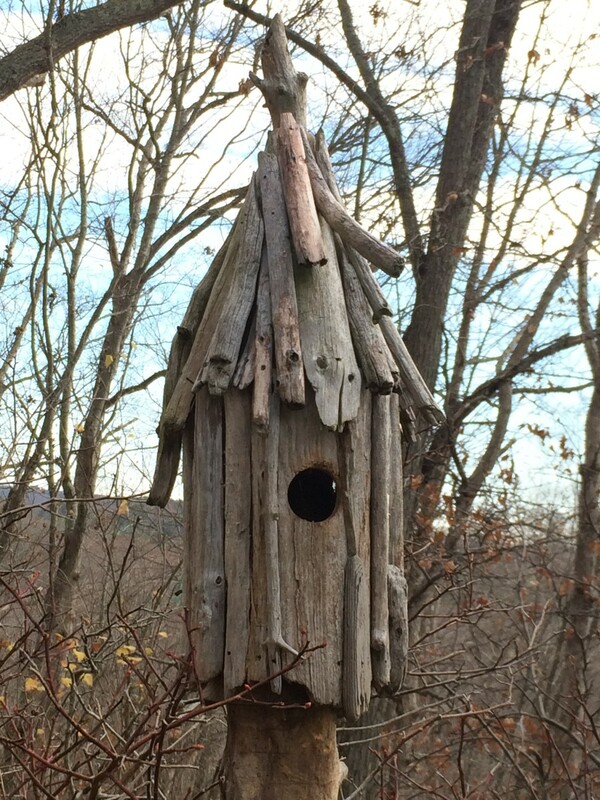 A good project for using reclaimed wood to reduce cost and to keep salvaged wood out of the landfill, here is how to build this birdhouse with a view. Each of the four side sections has a thin 1/8" wide by ¼" deep groove cut across one end to accept the clear Plexiglas panel. Using the table saw and miter gauge, position the fence with a spacer board to crosscut the groove. Raise the blade ¼" above the table and run each piece through. The sides (C) are beveled along one edge at a 45-degree angle. Fastened together, the two beveled edges form the 90-degree corner at the bottom of the hanging wooden birdhouse. Attach the two side pieces together with weather resistant nails or screws, taking care to line up grooves. Mark and drill a 1-½" hole through the front section and the entrance guard. Position the front section in place, and attach to the sides with nails or screws. Attach the entrance guard on a bias to form a diamond shape, as shown in the photo. Attach the two roof pieces. Hang the finished birdhouse using two galvanized eye bolts, screwed into the roof peak approximately 1-¾" from each end. 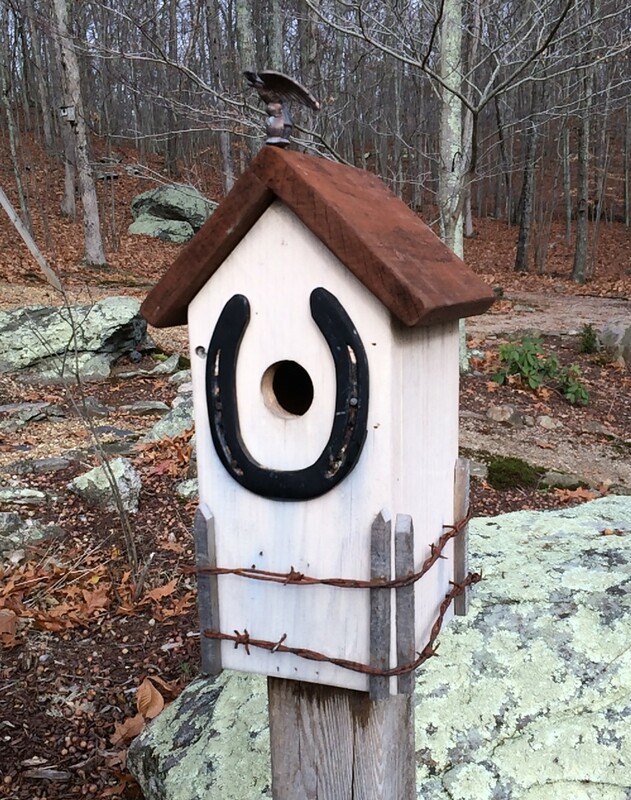 Use a short section of reclaimed and stripped copper electrical wire to hang the birdhouse from a tree or pole. 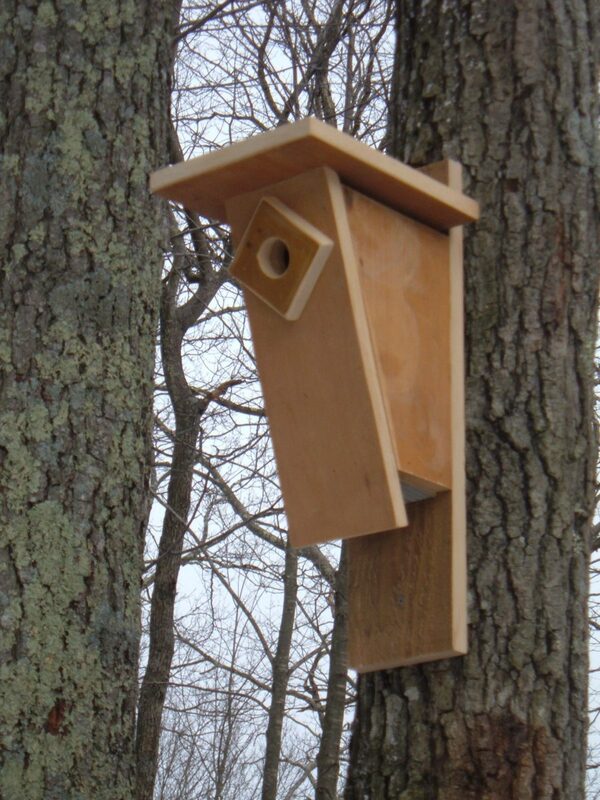 With individual nest boxes and separate entrances, these condos are designed to attract a variety of small cavity-nesting birds including chickadees and wrens. The two unit condo features a divider in the middle of the interior to separate the space into two individual nesting areas, and it is designed to sit on top of a post or to hang from a cable. The long side is a blank canvas for adding paint and other decorations, and it is sized to fit a license plate. 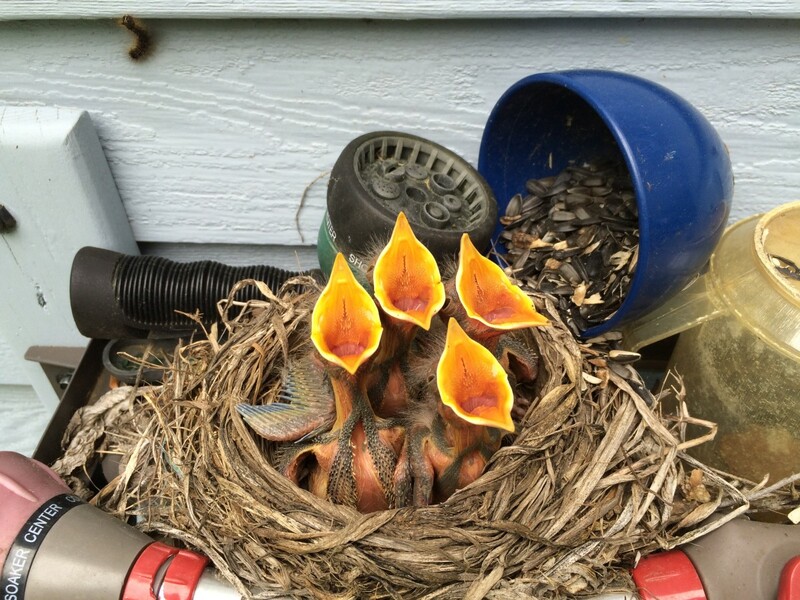 Robins and flycatchers are nest builders who will not move into a birdhouse. But they may build their nest on a shelf. Designed to attract robins, the barn style nesting shelf is designed to resemble a rustic farm stable. The aged wood adds a nice weathered patina from years spent outdoors. In the winter, small birds use the birdhouse to take refuge from the snow and chilling winds. The barn was made from an old pallet and a few other pieces of salvaged wood. The milled side sections came from the railings of a retired cedar play set. The ends and bottom pieces were cut from a salvaged cedar corner board. The pallet provided the roof pieces and door trim, and the metal stars are re-purposed Christmas ornaments. 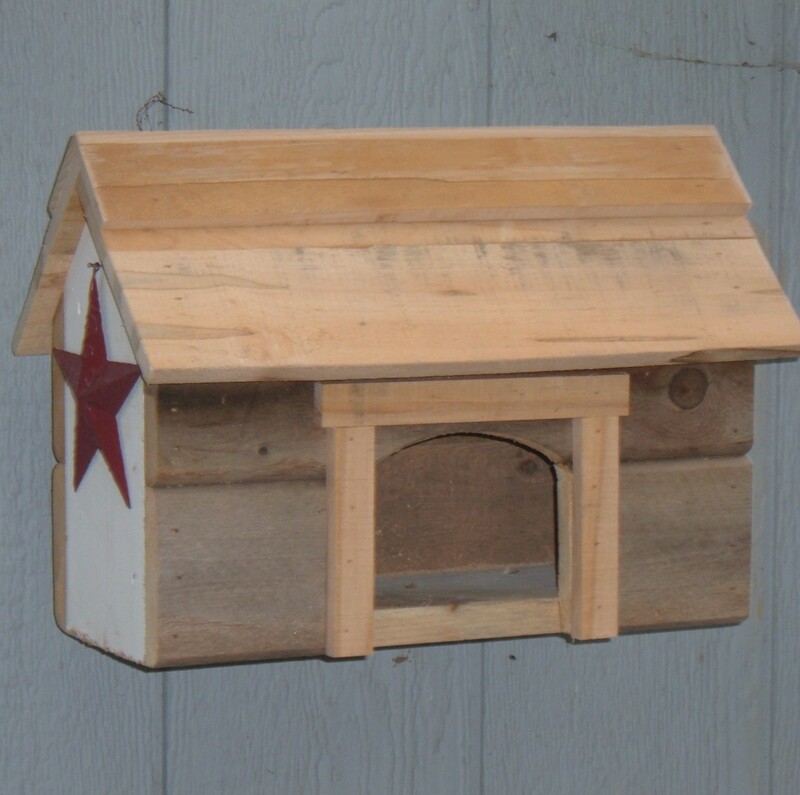 Some types of birds including robins, swifts and flycatchers will not nest in a birdhouse, but you can entice them to set up residence on a nesting shelf. 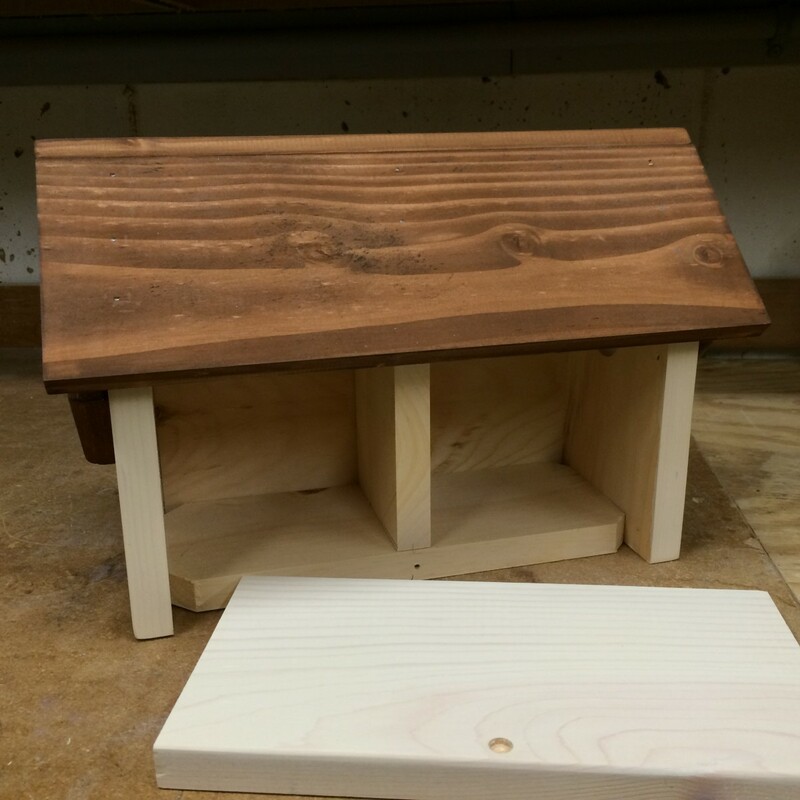 This simple nesting shelf is easy to make, and a great birdhouse project for recycling salvaged lumber or for using small pieces of wood from the scrap bin. 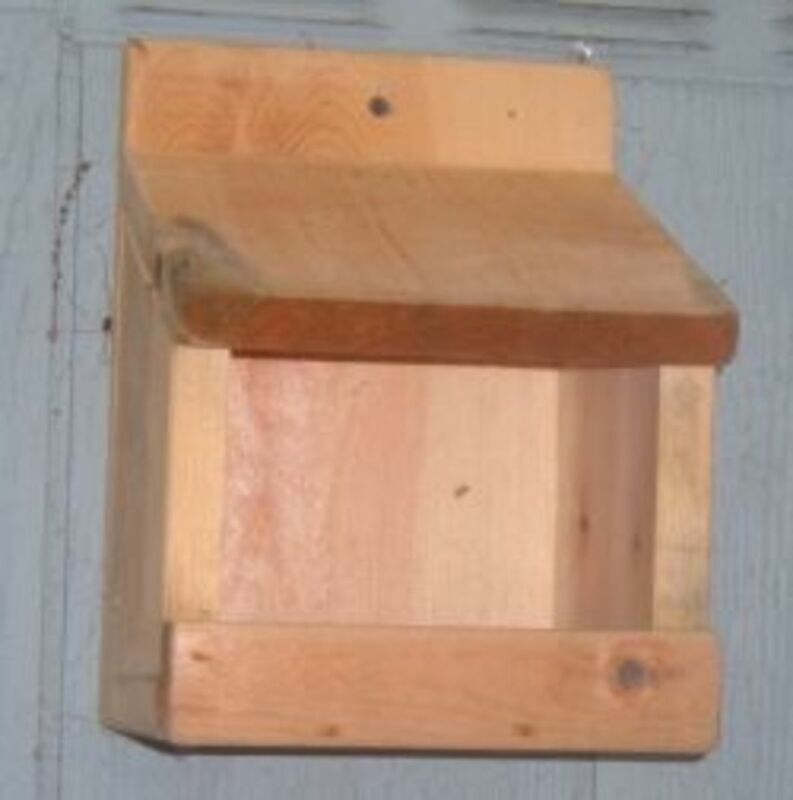 An old pine closet shelf contributed enough wood to make several nesting boxes like the one in the photo. Cut the pieces to the sizes as outlined in the cutting list. The top edge of the side piece is cut on a 30 degree angle. Cut the back edge of the roof at the same 30 degree angle to fit flush against the back, creating a water-resistance roof to protect the nest from the rain. 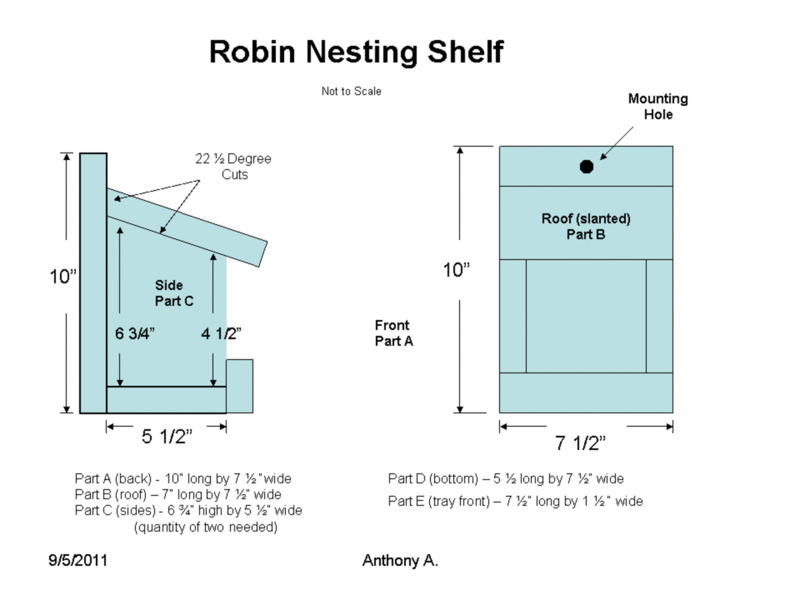 Start to assemble the nest shelf by attaching the sides to the bottom with weather-resistant nails or screws. Attach the back to the sides, then add the roof and the tray front. Position the nesting shelf up under the eves of a building. Even With All of the Birdhouse and Nesting Shelves to Choose From . . .
How can I get a copy of these birdhouse architectural plans? Whatban awesome lens - I definitely need one of these and I would live to try building it from scratch. I could do with a few of these. Your yard is quite a showcase, you must have loads of birds, I'm envious. I love all the examples of birdhouses you have here to invite many families of birds into your yard, your yard must be alive with song! Wow! What a great lens! You obviously put a lot of time in to it. Thanks for sharing! What a wonderfully detailed lens on building bird houses. I love everything here. The pictures, the instructions, and the commentary. 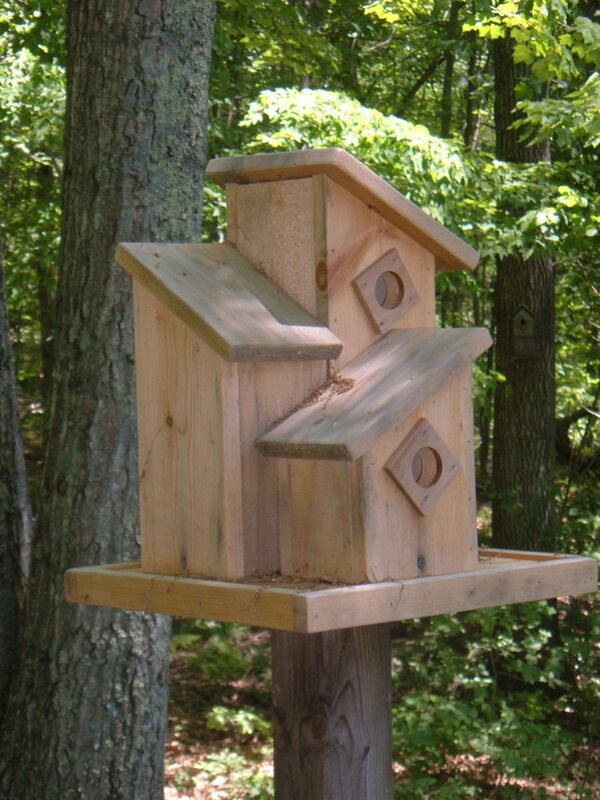 Great resource for bird house design and building. I love birds, and this was a wonderful lens! I'd love to build a birdhouse, but I'm not very good with hammer and saw. Wow! What an amazing lens - and the related lenses. Your instructions are easy to follow - even I can do it. This inspires me to build my own birdhouse! Thanks for sharing. always have loved bird houses. I think I'll make my own since they are hard to find at stores. If you also like reading educational lens, mine not only has this but poll quesitons for my readers to do. Now featured on my Back Yard Nature Coloring Pages. 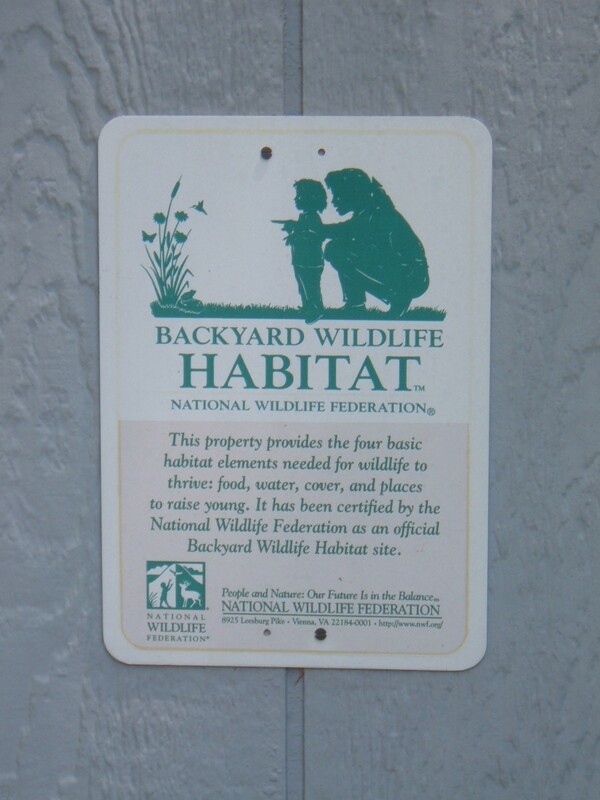 I just wasn't at all surprised that you are a certified member of the l Wildlife Habitat Program. Congratulations on another excellent resource.